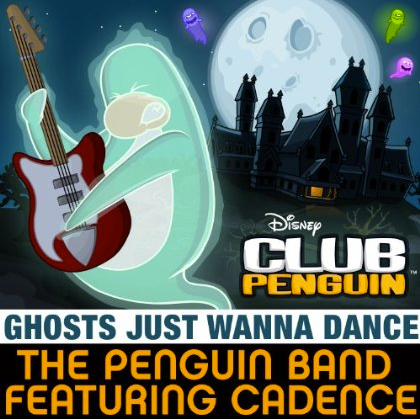 Club Penguin will be releasing a new song "Ghosts Just Wanna Dance" October 9th, 2012. Click HERE to listen to a sample of the song. Ok, I want you to check out the song sample and let me know what you think! Honestly, I think CP should stick to making their site better and stop making weird music. It's just kinda strange to me. CLICK HERE TO LISTEN THE SONG SAMPLE! Exactly Mimo! They have been lazy with the parties lately (less decorated rooms, same free stuff from other years) and they only focus on making new songs and videos. Disney should stop milking CP, I think they have enough cash in their pockets! I agree with Panosgp. This years fair prizes are like the save. Biggest CP rip-off ever! Plus this song is Awesome! Bye :D!! It goes ok with the song from last music jam.